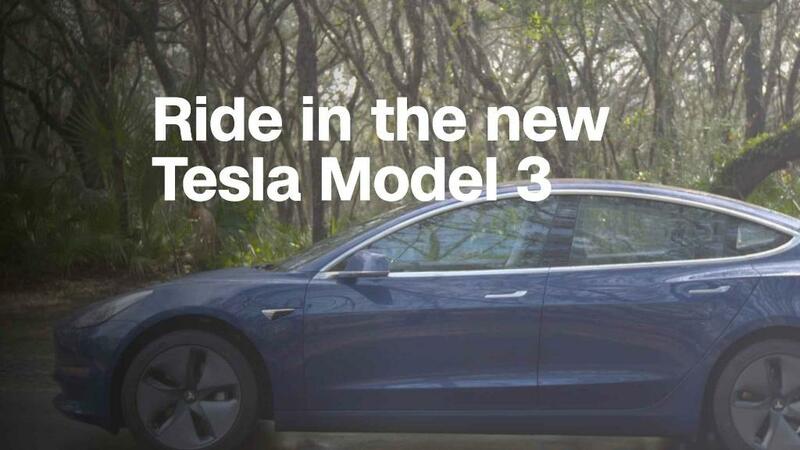 You no longer need to make a reservation to order a Tesla Model 3, a change that suggests customers are holding out for the elusive $35,000 version rather than lining up for the pricier cars rolling out of the factory. Before Tesla announced the change in an email to potential customers, queuing up for one of the sleek sedans required making a reservation and placing a $1,000 deposit. People were only too happy to do that when CEO Elon Musk unveiled the car in March, 2016, with a promise that they could get one for just $35,000. More than 276,000 people signed up within two days. One year after Model 3s started rolling out of the factory in Fremont, California, Tesla has delivered more than 28,000 cars. Customers wait as long as four months for the cars that have so far started at $49,000 as Tesla concentrates on building Model 3s packed with expensive performance upgrades and convenience features. The slow production pace has frustrated consumers. Despite 420,000 people on Tesla's reservation list, that interest hasn't transitioned into current sales. That leads analysts to believe people are holding out for the $35,000 base model. "The realities of it have set in. Those that raised their hand decided they didn't really want to buy a 50, 60, $70,000 car," Brett Smith, an assistant director at the University of Michigan's Center for Automotive Research told CNNMoney. Other factors may play into people waiting to place orders. Although Tesla's reservation list is international, Tesla has so far limited deliveries to the United States and Canada. And Tesla still doesn't offer a leasing option. It doesn't help that the company struggles to meet Musk's production targets, which called for producing as many as 200,000 Model 3 sedans by the end of 2017. And Tesla has drawn criticism for what has, at times, seemed like a haphazard production line. Even Kelley Blue Book analyst Rebecca Lindland gave up waiting. She canceled her Model 3 reservation in April after losing confidence in Tesla's ability to deliver a sedan that actually costs $35,000. "If I'm going to spend $53,000 on a vehicle I'm going to look at other things," she said. "I feel like I loaned [Musk] money but didn't get any benefit from it."